Honda’s Civic-based MPV is hugely spacious and surprisingly sporty to drive, but a glut of later JDM imports makes buying one a bit confusing. The Honda Stream didn’t have a long life in this market, officially speaking. It was introduced in 2001, as a spin-off from the then-new Civic (which was almost spacious enough in itself to count as an MPV) and was roomy, comfy, had the de rigueur seven seats and was actually remarkably entertaining to drive, at least by the standards of high-roofed family buses. Right, this is where it gets very confusing. The Stream that was officially sold in Ireland (and it never sold in especially huge numbers) only ran for four years, from 2001 to 2005, and was then replaced by the six-seat FR-V. The Stream name continued on in the Japanese Domestic Market (JDM) on an entirely new and unrelated model though, and many of these have subsequently been imported into Ireland. This is where you need to be careful, as there is a huge variety of engines on offer (1.6-, 1.7- and 2.0-litre petrols) and parts and spares could be tricky to source. As for the Irish market Stream, it was originally a seven-seater, but some models came (especially post-2004) as a six-seater. with three rows of two seats. The 1.7-litre petrol engine, shared with the Civic, was the most common powerplant and while it’s not as economical as a diesel, it’s still pretty frugal and very smooth and free-revving. There was a 2.0-litre petrol option too, but that won’t be an easy one to track down in Ireland. There are very few reliability issues to report (hey, it’s a Honda, what did you expect? ), but you need to keep an eye on the bushes for the complex all-wishbone suspension (they can wear easily, but apparently they’re cheap to replace) and the exhaust, which can suffer from corrosion. Keep an eye on the headlights too, as dipped beam units can be troublesome. It’s best to go for an original Irish market car, unless you have a nearby dealer who specialises in the later imported models and can guarantee a supply of affordable parts. 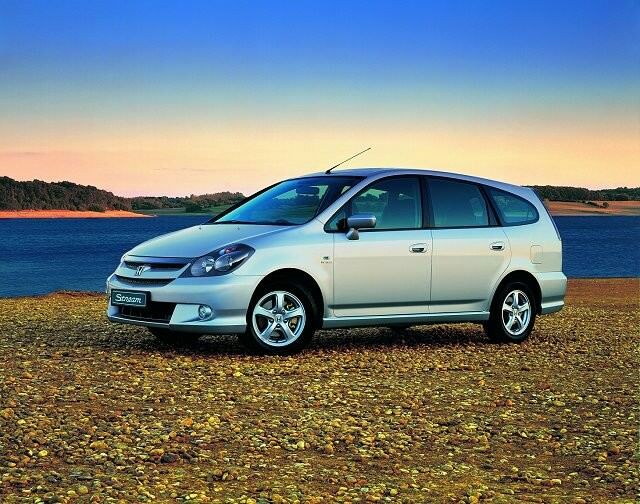 Best to go for a pre-2004 seven-seater, with the 1.7 petrol V-TEC engine. You’ll pick one up for as little as €2k now. You will have to do your homework to find a good one, and you’ll probably need to be patient too, but a good, original Stream will provide years of spacious family motoring.